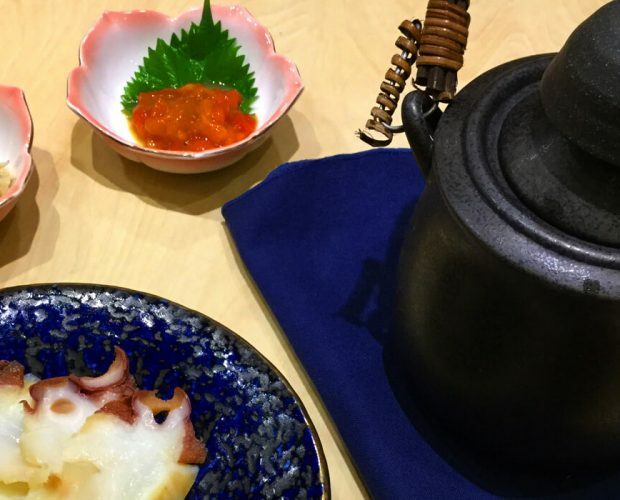 It goes without saying that Japanese signature cuisine is seafood. 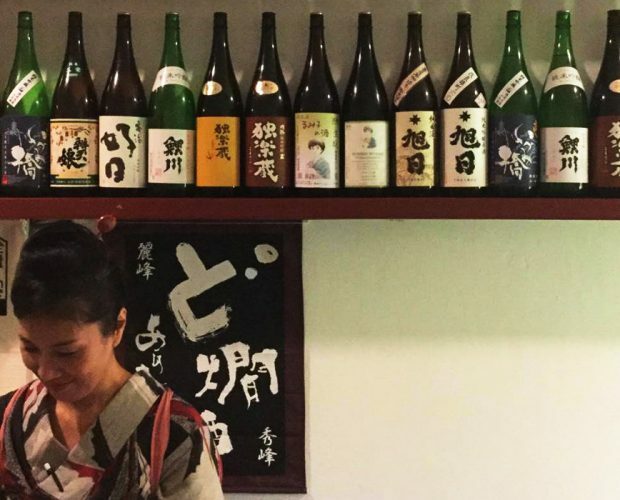 As Japan surrounded by the sea, the food culture developed there has great depth and diversity. 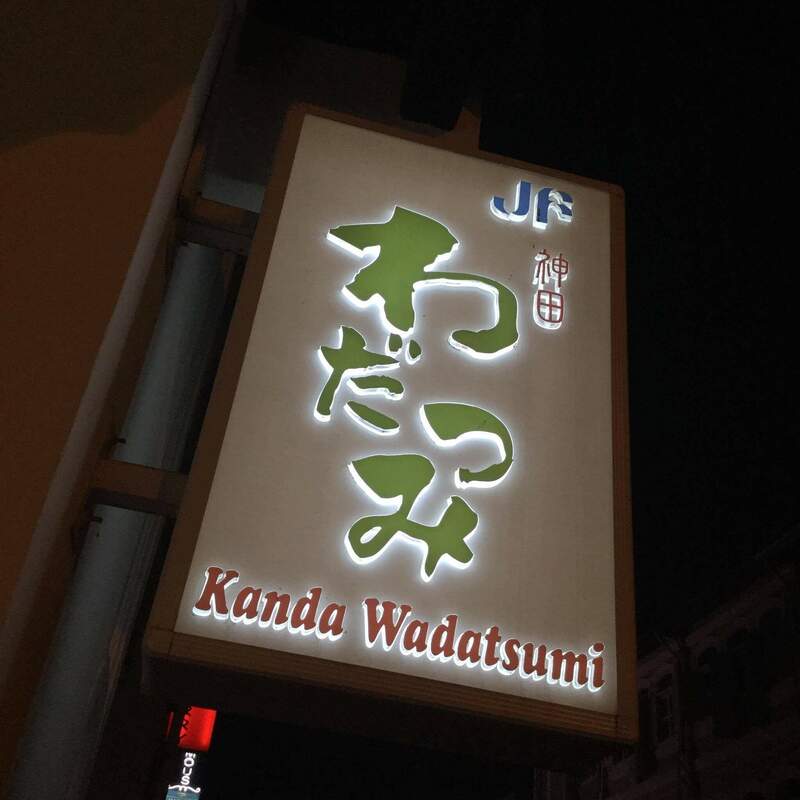 In order to convey the authenticity of the culture, zengyoren (Japanese fisherman’s associate) support and provide fresh seafood from all over Japan to the restaurant “wadatsumi”. The interior of the restaurant is based with timber creating relaxing atmosphere. 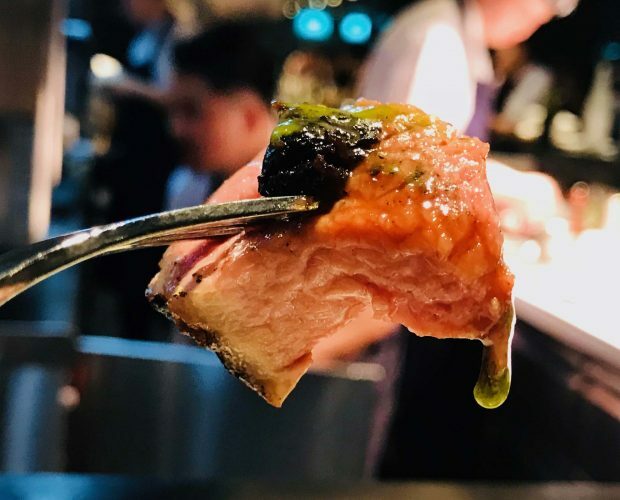 Each food served with elegant plates. Seating space is good enough so that can visit at any occasion. 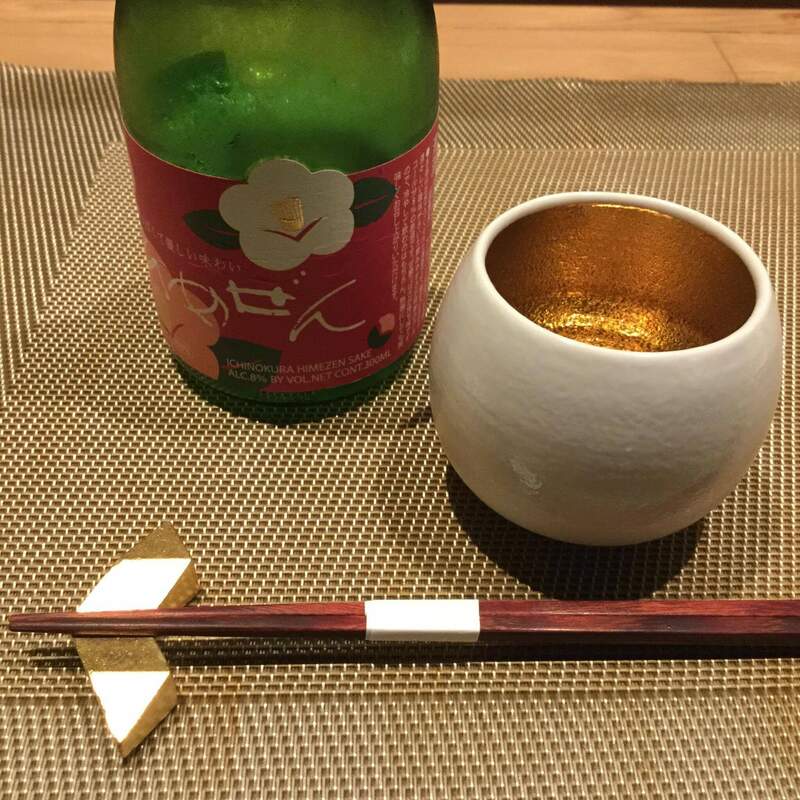 Aperitif was a cold plum Sake called “Himezen” made in Ichinokura brewery, from Miyagi prefecture. Refreshing plum aroma and taste open mildly in my mouth. 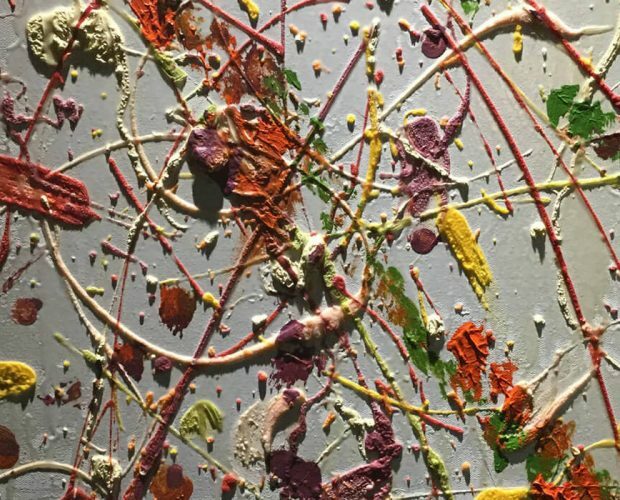 Sweet, acid, and light bitter taste follows. Amuse was a plate with mozuku from Okinawa and scallops from Hokkaido. 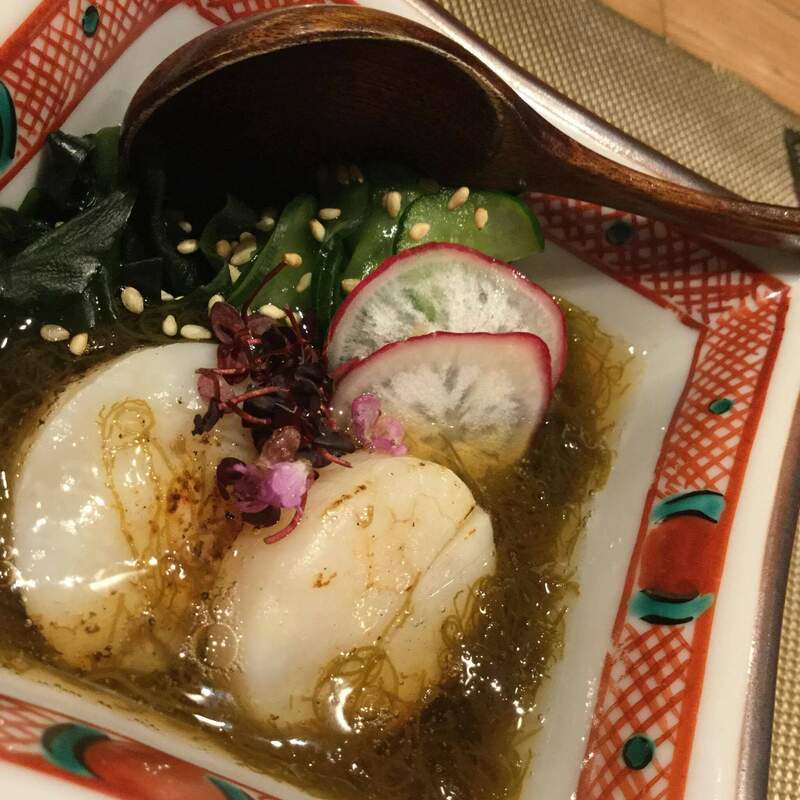 Scallops have a tender texture with elegant yet dense umami, matching with profound taste of mozuku. 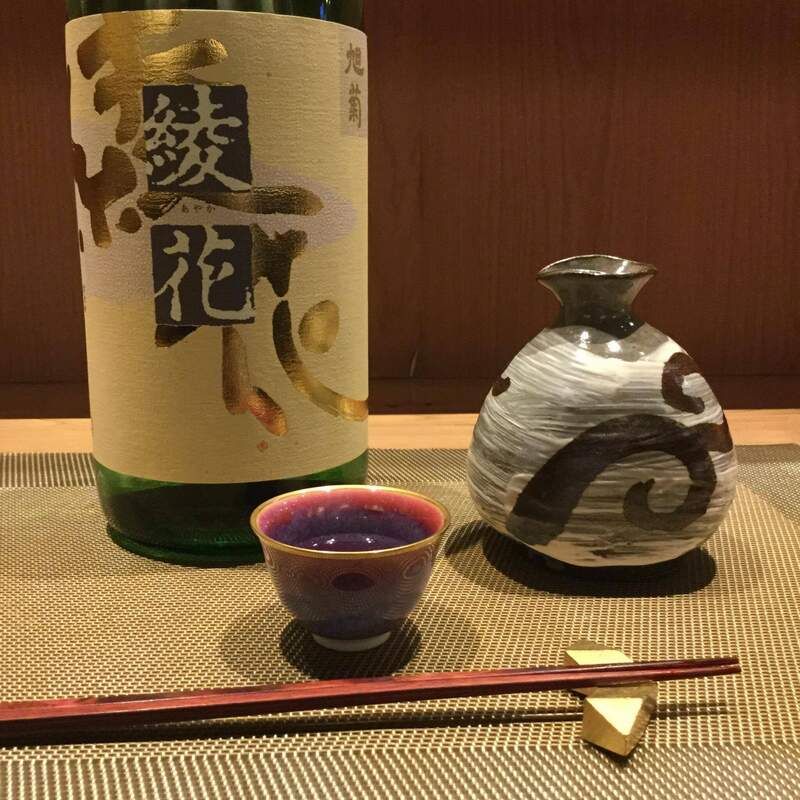 The plum Sake bring sense of spring when umami of the scallop, and thick texture of mozuku mix with the Sake. 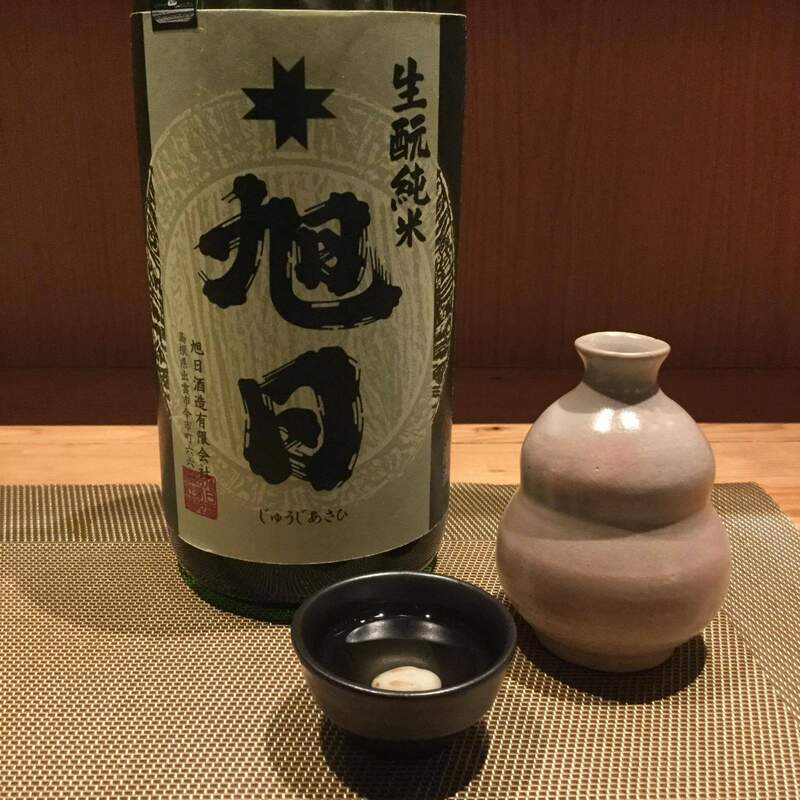 Following Sake was from Fukuoka prefecture, “Ayaka” spacial Junmai, in temperature little cooler than room. 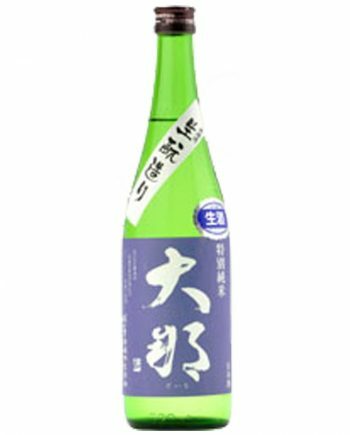 There are bland citric aroma, soft texture, and taste of mature Sake with banana like deep sweet taste. And it ends with mild numbness on tongue. Unagi from Kagoshima and taro were paired with this sake as well. 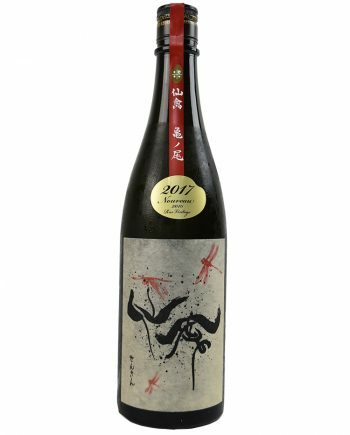 Rich umami from taro and unagi, stimulating Japanese pepper goes well with sake. Bitter taste open first then sweetness wraps umami of unagi. Then I had a salad with same Sake. 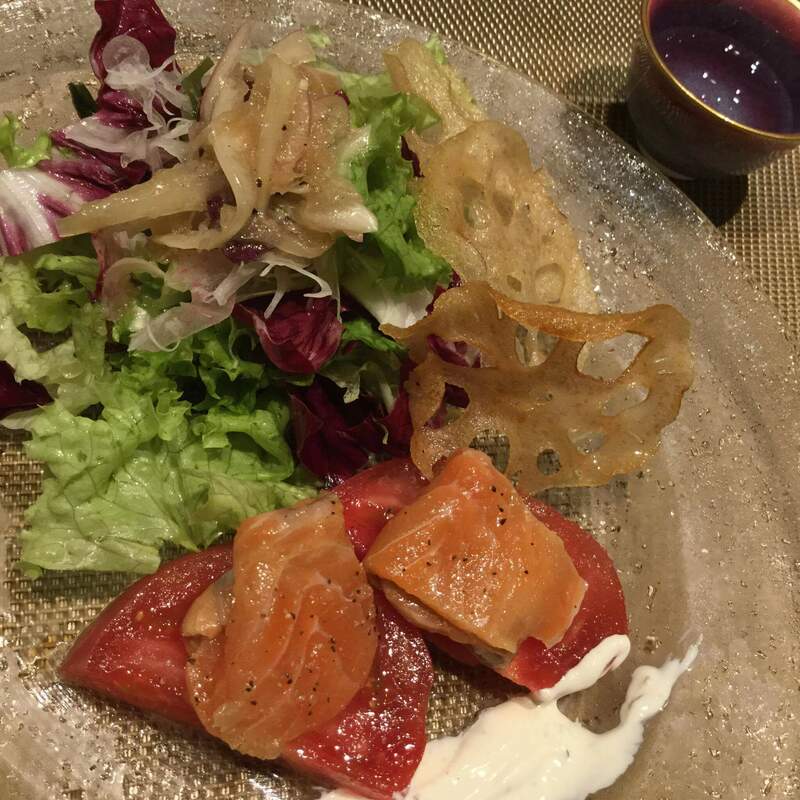 There are sashimi of trout sits on tomato, crispy lotus root, Japanese pepper cream, and leafy vegetables. Sweet and sour taste of fresh tomato, umami of trout, and taste of the cream goes well with bitter taste of sake, and help to open caramel like after taste. 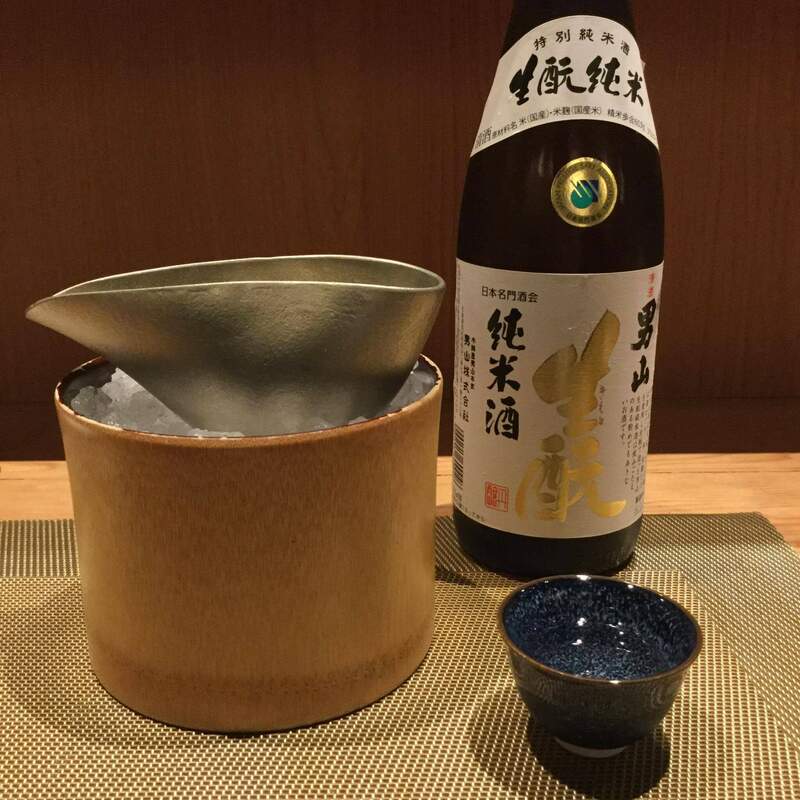 Next Sake was “Otokoyama” Junmai Kimoto from Hokkaido served chill. 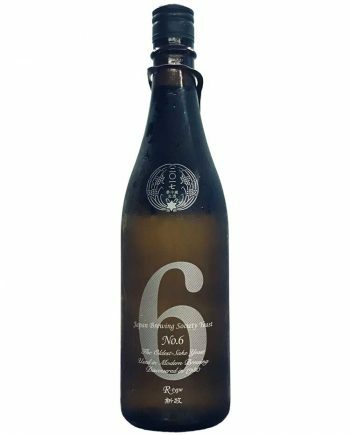 It has bland aroma, strong sweet and fruitiness, and easy drinking taste. 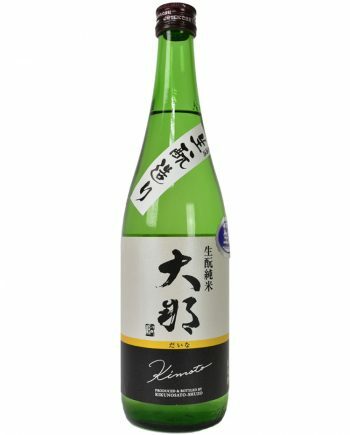 I paired this Sake with three sashimi. 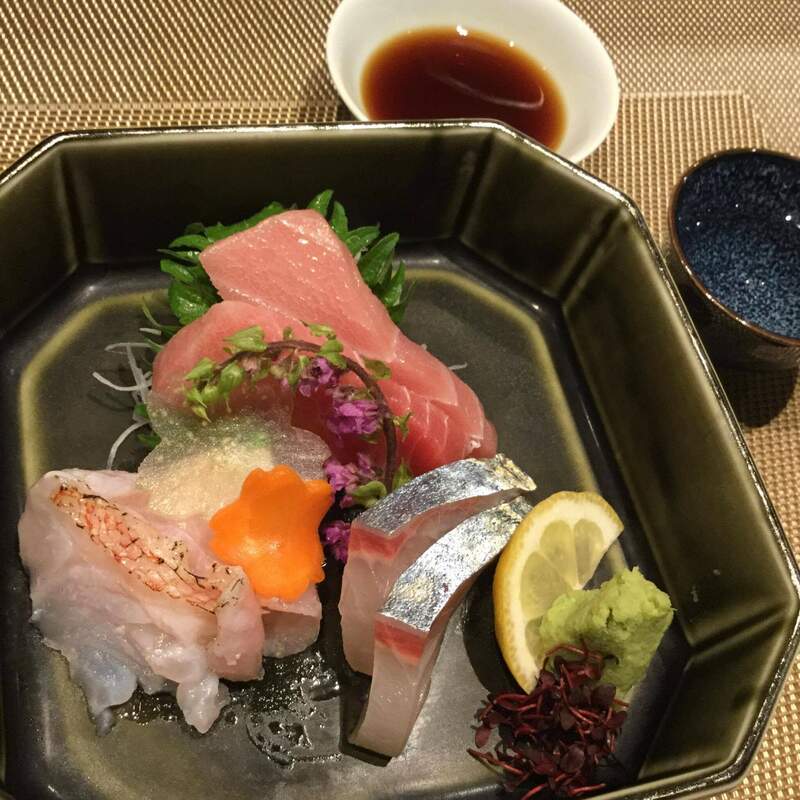 Tuna fatty meat from Wakayama prefecture has both melty texture and condensed umami. 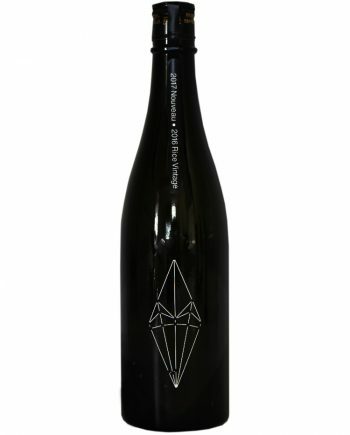 With Sake, sweetness and citric taste stand out. Idiot fish from Hokkaido is a delicious fish has lightly burned skin, containing full of fat and umami. 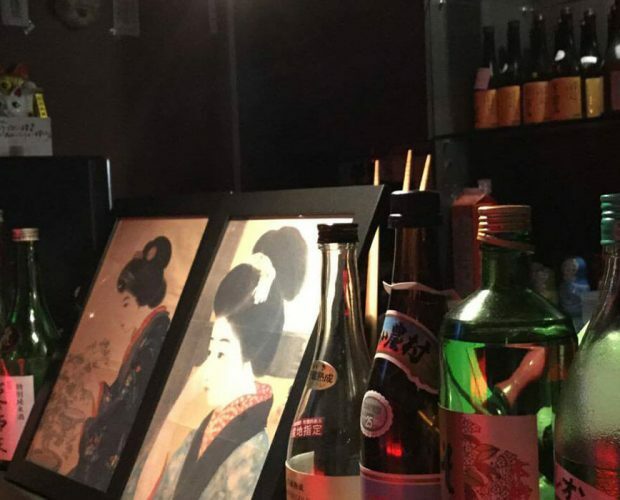 With Sake, sweet taste pops and bitter acid taste rises. Mackerel from Nagasaki has fresh texture, melting salt and fat taste, and acid taste of sake stands out. I truly enjoyed each sashimi with unique characters. Following sake was one of my favorite, “Juji asahi”. 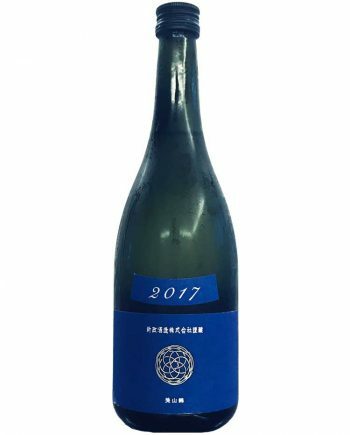 It is from famous sake producing prefecture Shimane, made with sake rice gohyaku man goku, Junmai, kimoto, three years of aging, served in warm temperature. 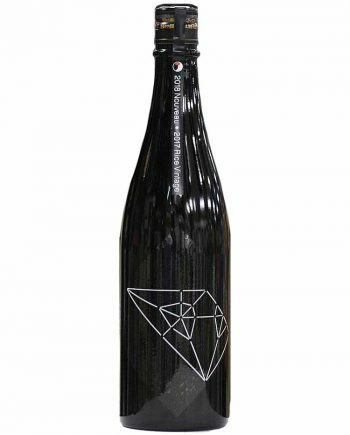 Sweet taste of the vintage Sake, acid, umami taste are well balanced with stability. 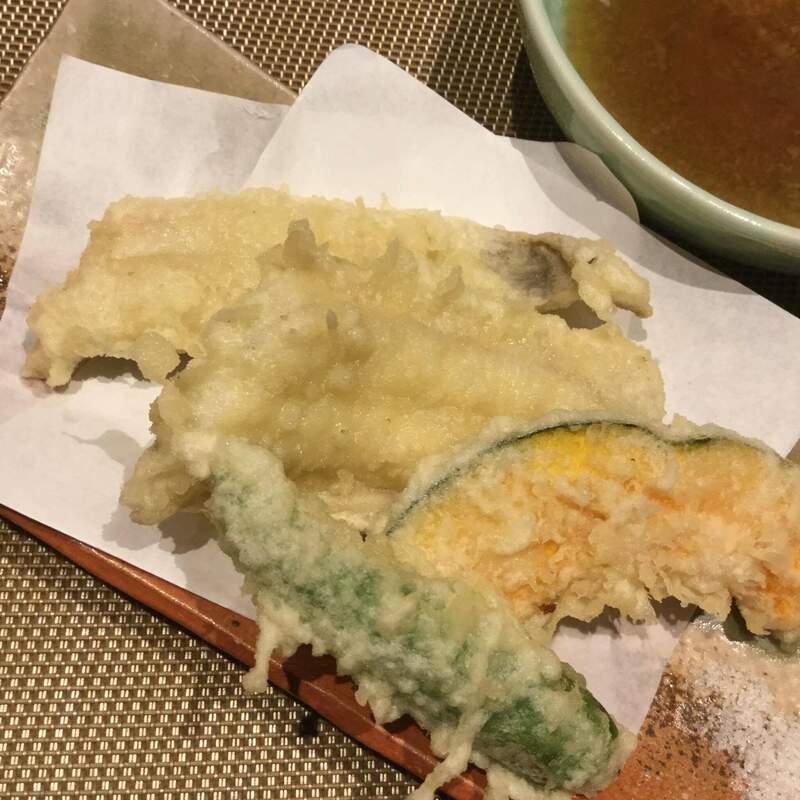 I paired tempura of anago with the Sake. 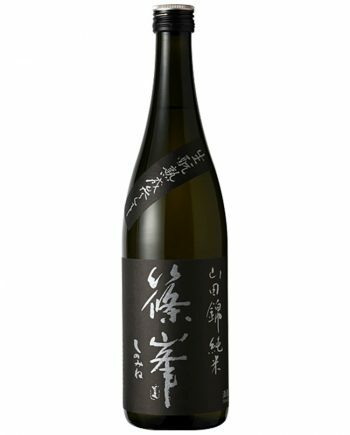 Delicious salt, rich aroma and umami, sweet and sour taste of sake matching well with fat of anago. Wagyu from Iwate grade A4 loin steak with butter soy sauce, cooked in sukiyaki style has a taste of charcoal, juicy meat umami and bitter sour taste of sake matches with the meat well. 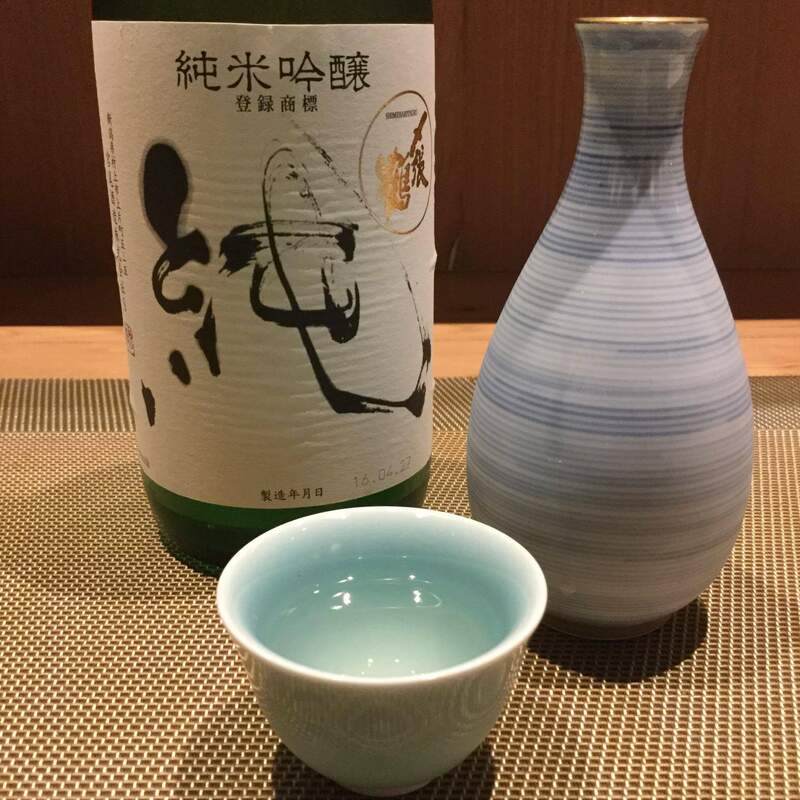 Last Sake was from Niigata prefecture called “Jun” junmai ginjo produced by shimeharizuru brewery. 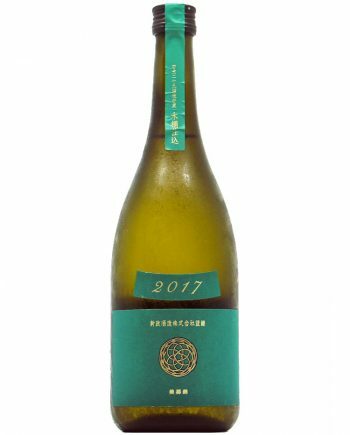 Ther is a mild melon aroma, easy taste, grilled banana like sweet and sour taste. Sushi set and kokko soup were paired with this Sake. Tuna sushi from Wakayama has profound melty umami matches with sweet taste of the Sake. Flounder sushi from Hokkaido with plum on top has a very gentle taste, and with Sake, pear like taste rises. 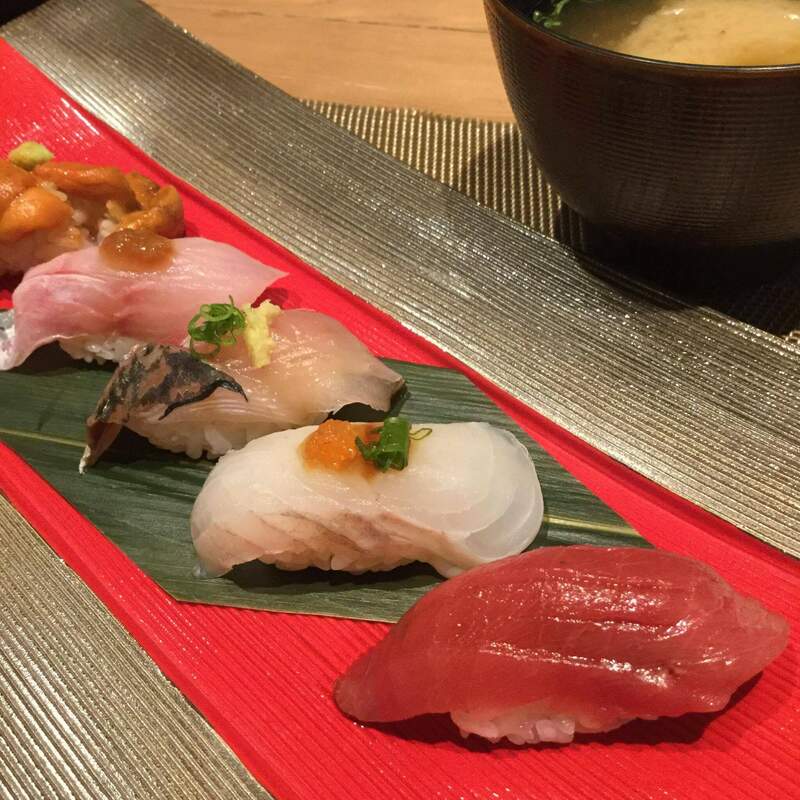 Herring sushi from Hokkaido with ginger has a umami and sour taste, and like flounder, sake brings pear like taste. 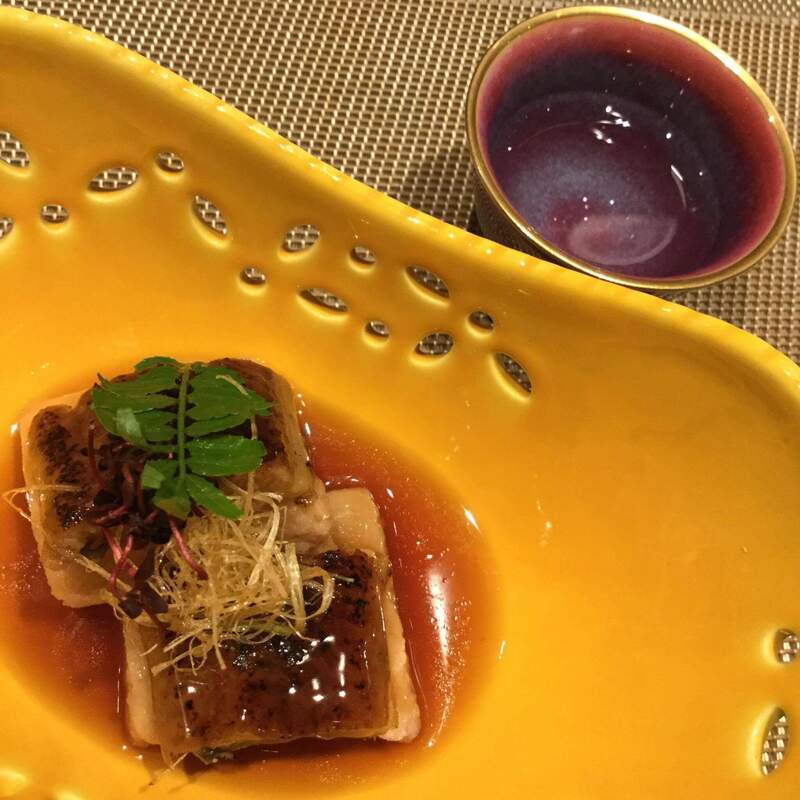 Rock fish from Nagasaki with plum of top has chewy texture, gentle umami and pear like taste and bitterness rises with Sake. 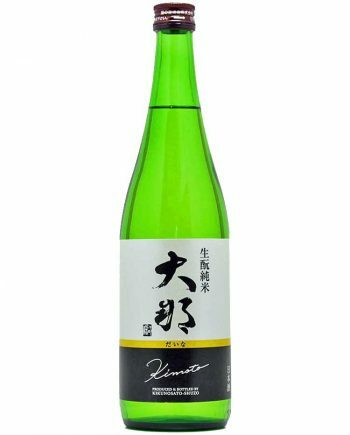 Sea urchin from Hokkaido has juicy and profound sweet taste, and it has a great match with Sake sweetness. For a desert, I had a pumpkin pudding. 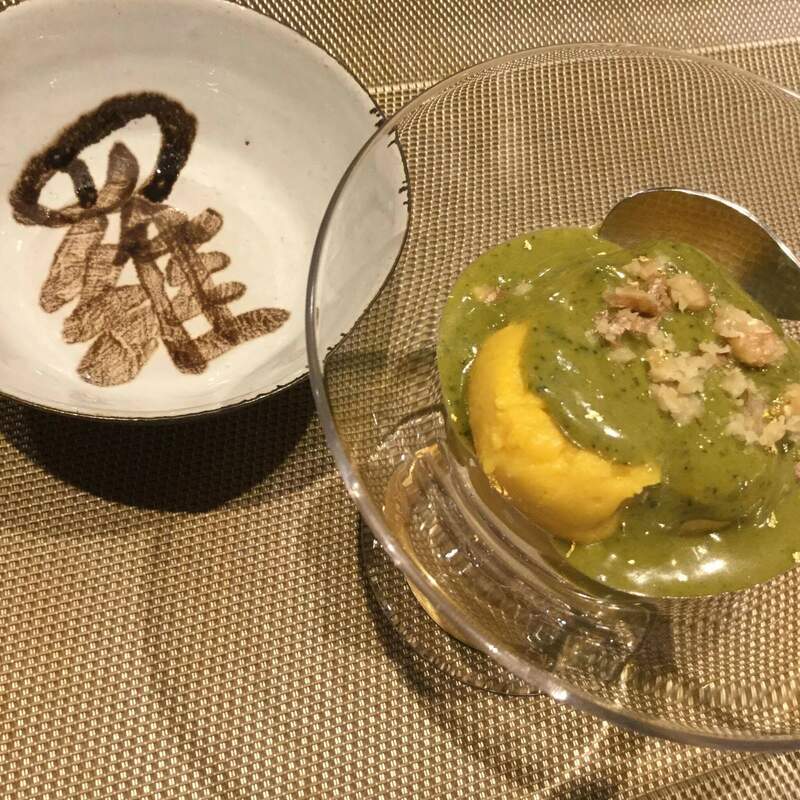 Elegant gold leaf decoration, gentle pumpkin sweet taste matches with bitter taste of sake. 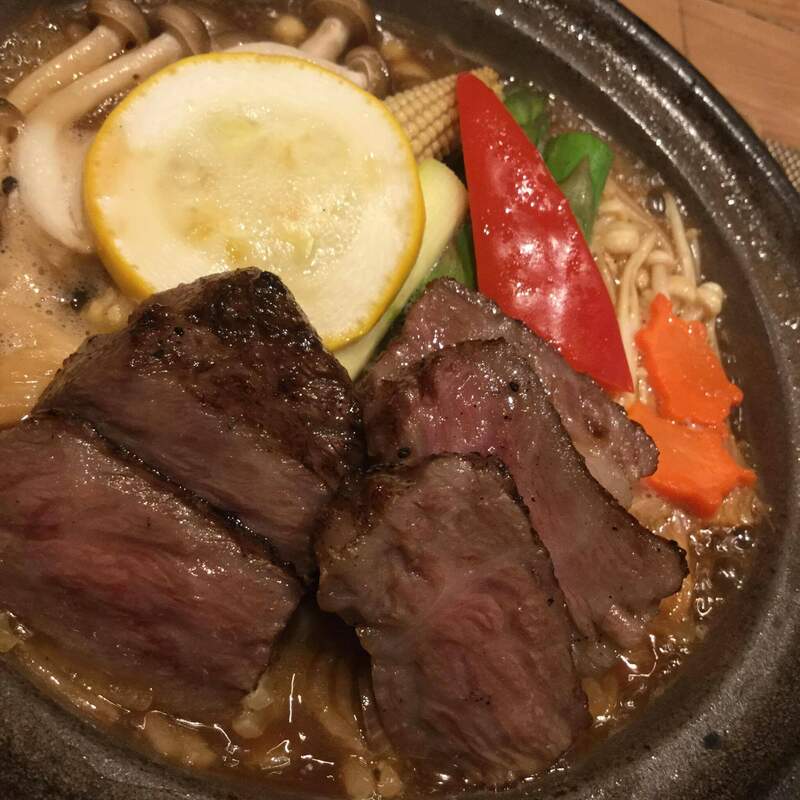 Chef said, he is serving cuisine that both local and Japanese could feel delicacy. 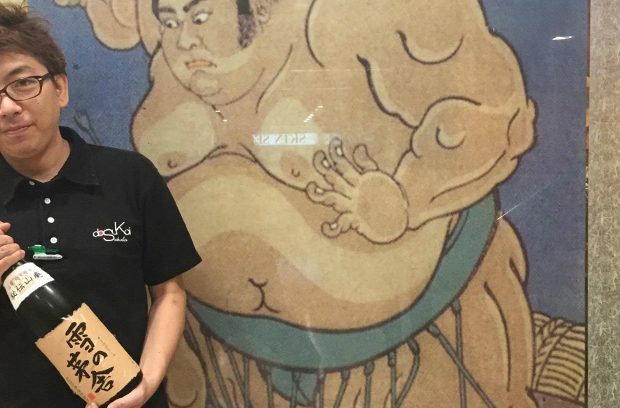 These dishes matches well with Sake. And every well made plates made not to make your tongue tired. 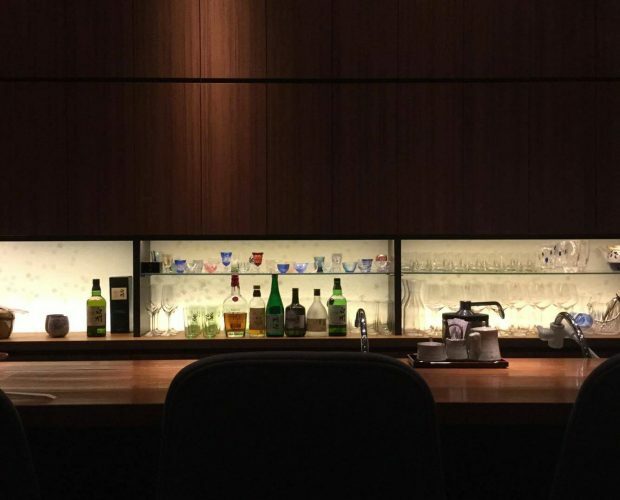 The Courses of the restaurant has an influence from western cuisine to create dramatic sequence in Japanese cuisine. 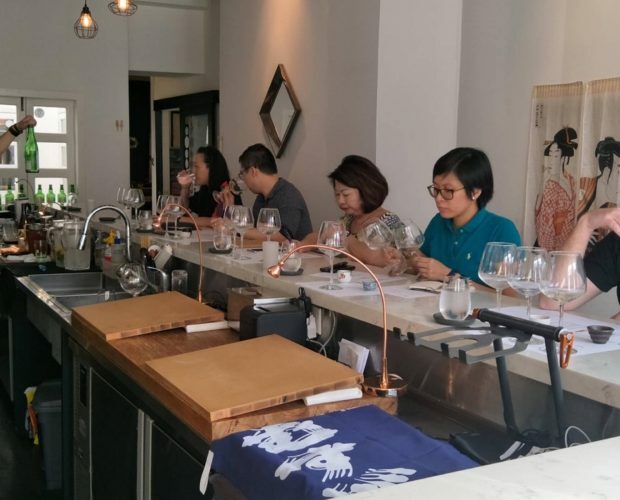 There are good Sake, good ingredients, good recipe and good atmosphere, so go and enjoy the true delicacy of Japanese cuisine!